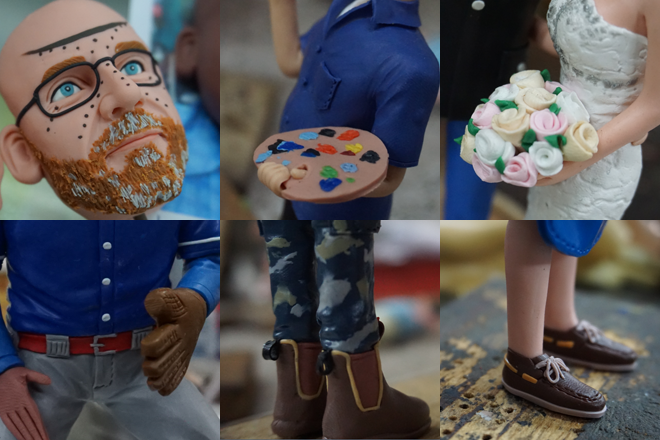 While the other suppliers use synthetic resin to sculpt bobbleheads, we use environmentally friendly polymer clay. This material can produce great details, bright colour and strong 3D likeness, besides, it's very durable. Let's have a look at the comparison between the common bobbleheads and those made in Bobbles workshop. The experienced artists are the core competence of our company. They have passed the rigorous sculpture skill tests before working on our customers' orders. The head sculpting artists are very good at capturing the facial features to make great likeness while the body sculpting artists are good at sculpting the figure and clothing details. With good material and talented artists, we're able to make the bobbleheads highly resemble the real person and accentuate the details of the unique features. In this way, the recipients would be hugely surprised by the bobbleheads that looked exactly like them, especially when the head is nodding. Focusing on details is the soul of sculpture works. The skilled sculptors on our workshop are at calm and concentrating spirit when working on the bobblehead bodies. Following are the detailed works made in Bobbles. While sculpting bobblehead is a time-consuming work, we provide our customers with quick correspondence and quick express service to save their time. The artist representatives provide personal and professional service to our customers. We normally provide online service to answer your questions right away. While we're off, all your questions should be replied within merely 4 working hours. In November 2013, we were selected by Nova Entertainment to make bobbleheads for Ash, Kip and Luttsy. All the bobbleheads successfully travelled 31kms into space!! 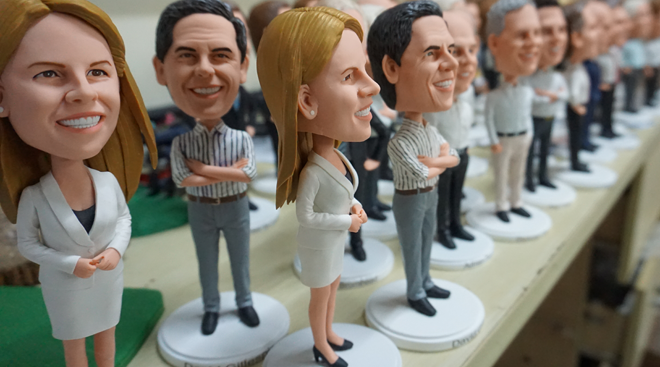 In July 2014, we won the bid to make bobbleheads for Federal team and State leader team in NSW.